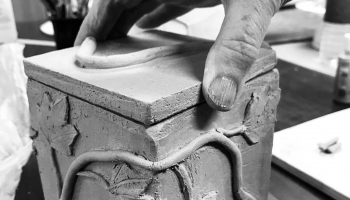 A beginner’s course in ceramics for those with no experience or those wishing to freshen up former passions. This class covers the basics of handbuilt and wheel thrown ceramics. Assignments, demonstrations, and individual instruction will be provided to help students explore their interests and become more comfortable with the working process. New students will receive a materials list and 10 lbs of clay on their first day to help them start their first piece. Get our Events on your Mobile phone wherever you are with a Free mobile app! This event was posted to the following categories. Click on sub-categories to find related events. This event has been viewed 155 times.